As leaders, we tend to be achievers. We tend toward making things happen… toward work… toward activity… toward doing… toward performance… toward striving. Of course, these characteristics have some very positive dimensions to them. Things tend to get done. Teams tend to perform. Organizations tend to run well. But can there be too much of a good thing when it comes to this leadership tendency? For Christian leaders, it is important to remember that leadership does not just happen by human effort and work. The reality of God’s existence changes the leadership equation for our lives as leaders and for our organizations. Christians believe in a God who does not simply sit back and watch His people work. Rather, Christians believe in a God who not only watches, but He is also engaged in the work itself. The verse quoted above calls us to be still, to cease striving, and to know that God is God (Ps. 46:10). We are called to trust that God is at work even when we are not. We are called to trust that God is in control even when we feel we are not. We are call to take the attention off of ourselves and our striving, and transfer that attention to God who is actively engaged in our lives, organizations, and world. Beyond Psalm 46, there are many other passages in the Bible that remind us as leaders that striving is not always the answer. Sometimes the answer is resting rather than striving, because God is at work even when we are not. What a powerful reality. God gives to us, even when we sleep. God works while we rest. Some versions translate the end of this verse as “he grants sleep to those he loves.” The reality is both concepts are true and powerful. He gives us sleep. He gives to us and our communities while we sleep. Even in our sleep, God is still working on behalf of those who are resting in Him. 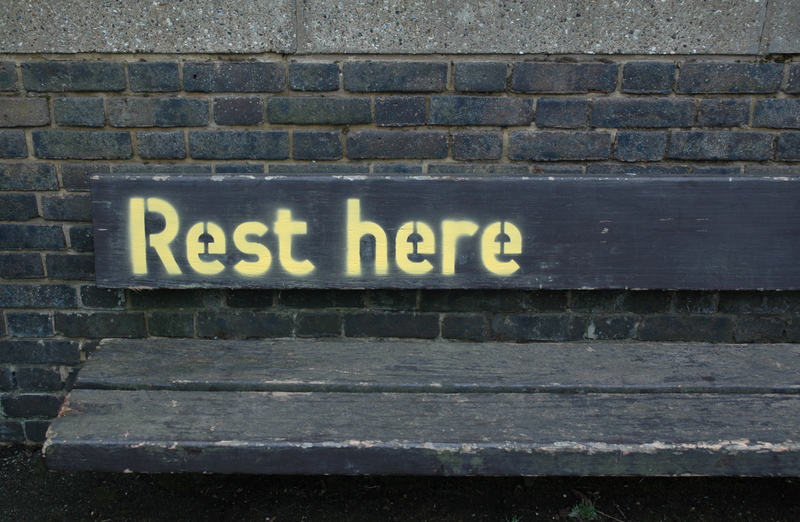 What powerful theology for those in need of rest. As leaders, we need to be able to shut down and rest. We need to be shut down and spend time with friends and family. We need to be able to shut down and sleep. Leaders who believe the entire story of leadership success is written by their own effort will struggle to find the rest and restoration they and their people need. As we trust that God is at work, even when we are not, then the rest we need as leaders will be found by relying on the one who graciously works on our behalf. Are you finding your rest in the Lord? Are you waiting on the one who is able to work for you? Are you finding refreshment by resting in the one who gives to His people even while they sleep?